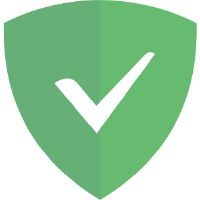 Adguard is an ad-blocking software for Windows, Mac, iOs, and Android that offers advanced security solutions against intrusive ads, online tracking, malware, and more. 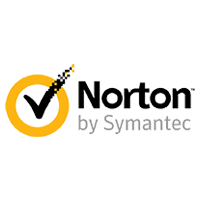 Its features include firewall, HTTPS filtering, browsing security, and spyware protection. In this article, we cover user reviews and pricing. Ready to try Adguard? Get a free trial. Users who gave Adguard a positive review said that the software helped improve their browsing experience by preventing them from seeing unwanted ads. Others also like how it was easy to setup and configure. Users who gave Adguard a negative review reported that it slows down their devices. Others also complained that it blocks some websites that shouldn’t be filtered. One user who gave Adguard a negative review in Capterra reported that the software consumes too much space, which slows down his device. He suggested adding options to control the app usage to minimize the processing power. Adguard has three plans: Mobile, Standard, and Premium. Users can purchase license keys ranging from $9.96 to $71.64, $19.92 to $144, or $24.96 to $179.64 per year, respectively. Each plan has a one-time only payment option that costs $24.95 to $179.64, $49.95 to $359.64, or $59.95 to $431.64. All plans offer an ad blocker, privacy protection, and ability to add own filtering rules. Ready to try Adguard? Get a free trial. Can Adguard ensure children’s web browsing safety? Yes. Adguard offers a parental control feature which filters web pages that children are visiting. It can block unsafe and inappropriate resources, as well as adult websites. Can users purchase a key for more than 9 devices? No. Licenses are only available for up to 9 devices. Users who want to purchase a key for more than 9 devices need to contact their support team for more information. Not sure if Adguard is the right fit for you? Read our reviews of all top internet security software or check out one of these three Adguard competitors. This application helps keep unwanted Ads, you can also filter preferences of what you want to see. Reliable product. I don’t have anything to complain about as the application works as it should. I would like to have known more of the history and what makes AdGuard stand out from its competitors. I have used others but have not been so happy. Though this is not the company, it was me as I was in a rush to get this as a friend of mine told me to download it due to its reliability. Adguard is my favorite software to block annoying online ads and even video ads. Adguard also allows to get rid of online tracking, makes my web surfing significantly faster and protects my computer from malware. The program also blocks all trackers and analytical systems that can spy on you, this is really impressive. I wish there were more frequent software updates and new features. I wish I could found this software earlier to save my time. So they definitely need to promote their software in scale.